A successful career in animation moves some people to New York, others to L.A., but for Nadine Zylstra it moved her to Bangladesh. After Nadine became the Assistant VP of Programming and Digital Media at Sesame Workshop she changed addresses for one in Bangladesh in order to produce a Sesame-like series, Sisimpur. This new series is a part of non-profit Sesame Workshop's efforts to help with the pre-school education of children—this time in Bangladesh. 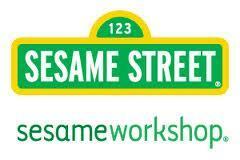 After being a vital part of the team Nadine was promoted to VP of Production at Sesame Workshop. After Nadine became the Assistant VP of Programming and Digital Media at Sesame Workshop she changed addresses for one in Bangladesh in order to produce a Sesame-like series, Sisimpur. This new series is a part of non-profit Sesame Workshop's efforts to help with the pre-school education of children—this time in Bangladesh. In addition to her humanitarian qualifications, her professional qualifications are impressive as well; Nadine has also directed for Sesame Street and previously won an Emmy for her work. In a word Sesame Street’s focus is diversity. In all the animation we produce we seek diversity in animation style, in the film makers we commission, and in goals our animations serve. We want animation that truly represents a broad range of topics and we look for unique, original talent who have a fresh point of view. Well, it would be “blank”, but that’s the point. Animation is a constant evolution. Years ago, we never would have thought 3D animation would be such a big part of mainstream filmmaking, but today, it is and that’s what’s so exciting about this field. The best is that anything is possible- one moment you’re in the air and the next under the sea. You’re only restricted by the ideas you can dream up. In the past, the biggest challenge was that creating animation was time intensive but with all the incredible software available today, that’s hardly a limitation anymore. It’s incredibly rewarding to be able to help identify talent and optimize their skills. We were working with Pixar and their little animated desklamp before they became Pixar! And we’ve been able to replicate this kind of success around the world. Additionally, we work with some educational institutions like the National Institute of Design in India to help train animators. We are always happy to consider their work for the series. We’ve been fortunate to have a great track record of finding talent around the globe. We love a unique point of view and a good story. Even if you’re teaching the number “4”, you have to find a way to connect with the audience and make it funny. We don’t generally recruit new hires from schools, but we use a broad network to commission animations directly from filmmakers. We do not have a preference- if a filmmaker is fresh out of school but has a great idea that is good enough for us. As in any field, it’s a lot of hard work and it’s not easy to break into. Don’t get too attached to one idea. In fact, having a volume of ideas is the key. Don’t get disheartened if one idea doesn’t connect; the next one just might. We had a bit of a learning process when we decided to combine the Sesame Street Muppets with animation in Elmo’s World. There was so much we had to learn about putting real Muppets into an animated world, much of it we actually figured it out as we were shooting! I didn’t have a formal education in animation but I know how to tell a good story. You may not necessarily need a degree but you have to have a creative vision. A technical skill is always helpful. If you can animate something it yourself, you’re that much closer to getting it made. What animation software packages does your firm prefer to use? Which one would you recommend to beginners? We don’t have a preference in software packages. It depends on the content and how it ultimately gets used. Could you share with us your best story about working in the animation industry? For years, we did not animate the Sesame Street Muppet characters. They were so unique in their Muppet form, we did not think we could replicate their magic in animation. Bert and Ernie especially are a classic duo and we didn’t want to compromise their integrity or viewers’ expectations of them. But finding the right partner was really the key to expanding into new styles of production. Misseri Studio, based in Florence, Italy, is well-known for producing clay, sand, water and stop motion animation, and they were already providing us content for Sesame Street. When they gave us boards for another project, as a joke, at the very end, they dropped in a shot of Bert and Ernie as clay figures. When Arlene Sherman, Senior Creative Consultant for Sesame Workshop at the time, saw it, she was struck by how great the characters looked so we began exploring an animated Bert and Ernie. Because we had been working together for a couple of years, they understood the characters and could animate in a way that was true to them. And so Bert and Ernie’s Great Adventures was born! There is an increasing demand. Feature films especially are using graphics and animation in a way they haven’t before and so definitely the field seems to be growing. Check out more interviews at The Animation Career Review Interview Series.